The Galini Hotel Hersonissos is a modern, stylish hotel, located close to the beach in Hersonissos, Crete.All rooms at the Galini Hotel Hersonissos feature a good selection of modern amenities, including telephone, satellite television, air-conditioning and music facilities. Guests can take advantage of a private bathroom, as well as a balcony with sea views. 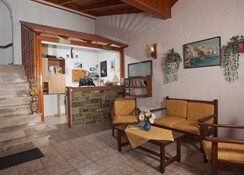 Families have the option of upgrading to a self-contained bungalow.Other facilities at the Galini Hotel Hersonissos include a reception desk with access to safety deposit boxes, and a communal television lounge. Youâ€™ll also find a games room on-site, which has facilities for table tennis and pool. 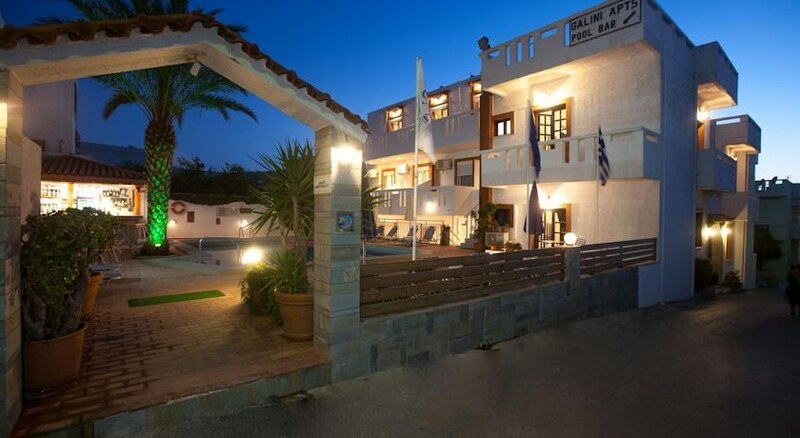 The Galini Hotel Hersonissos would make a great base for anyone in search of a little sun, sea and sand during their trip to Crete.It also features extensive facilities for families, with a paddling pool, childrenâ€™s playground and highchairs available in the restaurant. 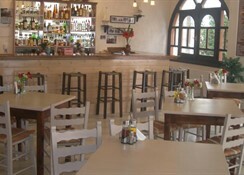 The Galini Hotel Hersonissos features a comfortable restaurant, as well as private dining rooms that are available for functions. The table service is impeccable, and guests can chose from a wide selection of both local and international cuisines.Youâ€™ll also be able to find a choice of two bars on-site â€“ one in the hotel lobby, and one beside the pool, serving hot and cold drinks as well as a selection of light snacks. **All inclusive**Breakfast 07:30-09:30(buffet style)Lunch 12:30-14:00(buffet style)Dinner 19:00-21:00(buffet style)During meals:water.soft drinks,(not bottled)local beer,local wine,tea,coffe,(filter).Bar All inclusive - Pool Bar11:00-23:00At the pool bar:soft drinks,(not bottled),cola, orange(not fresh),local beer,local wine,raki,tea,coffee(filter).14:00-16:00 Ice creamClarification for the All Inclusive:Drinks are for individual use.Gasses,cups etc. must be returned at the pool bar.It is not allowed to take drinks and food outside the hotel.All the drinks which are served are local.All the other drinks not included in the All inclusive programm are on extra charge as well as all the bottled drinks. 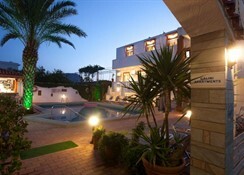 The Galini Hotel Hersonissos is situated in a quiet location, just 15 minutesâ€™ walk away from the sandy beach. Here guests can enjoy some great spots for sunbathing, or swim in the warm waters. There are also a good range of water sports on offer, including jet skiing, paragliding, windsurfing and scuba diving.Alternatively, head into Hersonissos itself to enjoy a range of resort attractions â€“ youâ€™ll find water parks, a golf course and numerous shopping centres all within easy reach. 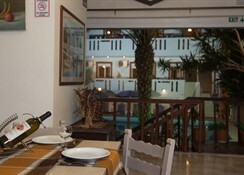 The town boasts a good selection of restaurants and bars, and is known for its vibrant nightlife.